Often, the first reaction is…”seriously, permanent makeup on your face?” “Really, people get their eyebrows and eyeliner tattooed? The answer is a resounding YES and most absolutely LOVE this option. It is permanent and on your face that’s why you would only want a trained expert! There is a very long learning curve with permanent makeup procedures so please don’t select a newbie. Color selection of pigments and proper placement are crucial for creating a beautiful and natural outcome and experience is necessary to having results that clients love. Permanent Makeup is a safe sterile process where pigments are inserted into the dermal layer of the skin, permanently. This modern application of an age old art provides a safe and natural looking alternative to your daily makeup routine. Our Permanent Makeup Artist, Kara Couch, has nationally certified by the American Academy of Micro Pigmentation since 1999 and has performed hundreds of procedures. Prior to joining La Dolce in 2010, Kara worked 9 years for a Plastic Surgeon and Cosmetic Dermatologist. Many are surprised when they find out that our permanent makeup clients are typically over 50 years of age. The majority of our clients desire to look their best every day with less effort due to their busy lifestyle. Some struggle with little or no eyebrow hair, or have difficulty applying makeup to sparse or light eyelashes. Others may have unsteady or arthritic hands or allergies to conventional cosmetics. It does take some time to perfect the look and a complimentary touch up may be necessary. Numbing is used to help the procedure be more comfortable. 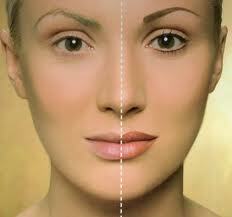 La Dolce offers complimentary consultations for Permanent Makeup. In addition to Kara’s National Certification, she has been a licensed Cosmetologist since 1986 and received her Aesthetician’s license in 1991. She also has a bachelor’s degree from Purdue University. She invites you to experience the benefits of Permanent Cosmetics by calling 317.848.0294. Mention this blog posting and receive $100 offpermanent eyebrows or full eyeliner.